This children's book is for all ages commemorating the events leading to the nomination of the first African American to be President of the United States from a child's perspective. Imagine witnessing history from a child’s perspective? What would it be like? What lessons can be learned? What can it teach our next generation? Experience one of history’s greatest moments through the eyes of a child by reading GARY SEES HISTORY…A CHILD’S JOURNEY. The Children’s Book and actual Video Download footage from SEE Entertainment chronicles Gary’s adventures leading to Barack Obama’s nomination of being the first African American to become President of the United States. 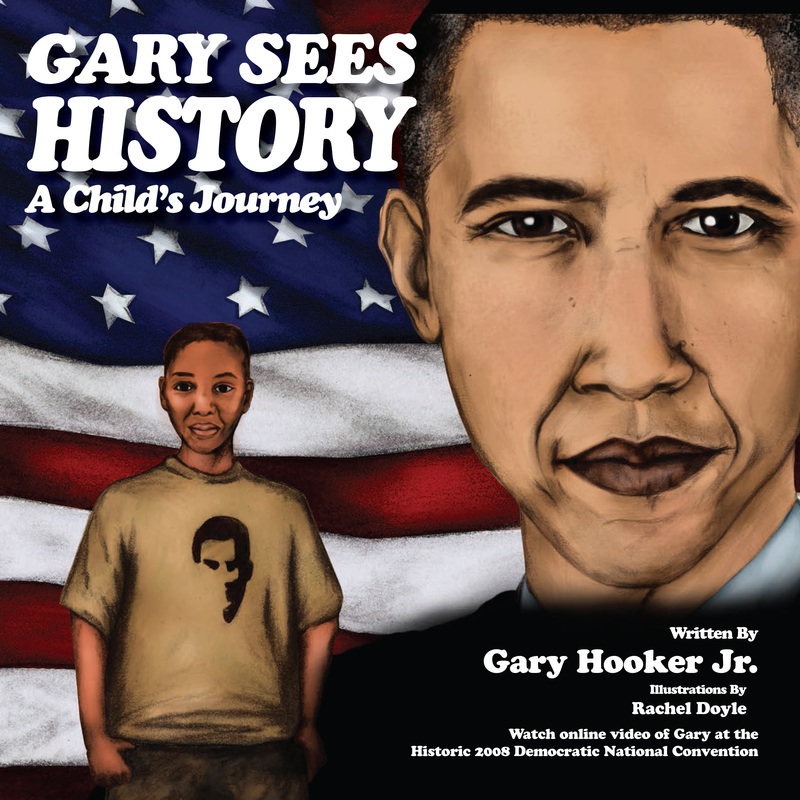 Introduce your child to history and civic engagement with GARY SEES HISTORY…A CHILD’S JOURNEY. Don't just READ ABOUT IT...BE ABOUT IT!!! Also Available at the Los Angeles County Public Library System and throughout various elementary schools in Grand Cayman, Cayman Islands. BRAND NEW Curriculum Learning Plan NOW available for teachers and instructors. FREE with book purchase. Please take our brief Parent Survey!! !